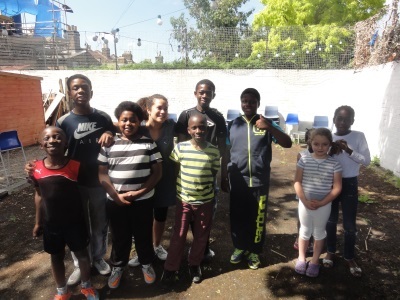 Active hands and minds is a 1 year project has been funded by a Southwark Council Joint security initiative (JSI) grant. Through this grant funded project Brayards Estate TRA (BETRA) shall run a series of 94 free workshop sessions. The project shall be focusing on sports, music,drama, gardening and forest school. 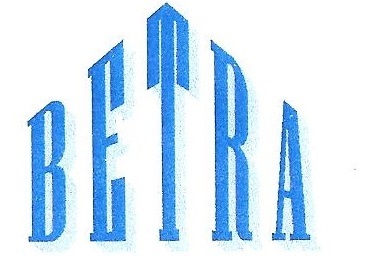 BETRA will be working with local primary schools and professional tutors to achieve the project aims and provide high quality free activities and lessons for local people. People without access to computers shall be taught basic computer skills and BETRA shall provide access to computers / internet on a regular basis. These free computer sessions shall teach participants basic computer skills, setting up emails, Skype and word processing. In order to help vulnerable / lonely to broaden their contact with family and friends and use skills to services such as ‘My Southwark’ in order to pay for services online. As part of this project Jaws software for the blind shall be installed onto Brayards Estate computers, so people with visual impairments can use BETRA computers. 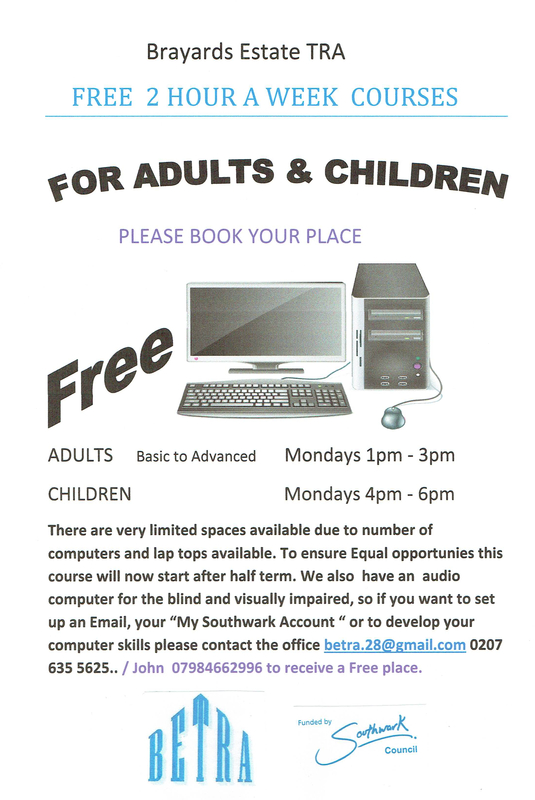 Free computer lessons are scheduled to start Monday 22nd February 2016 see details below. 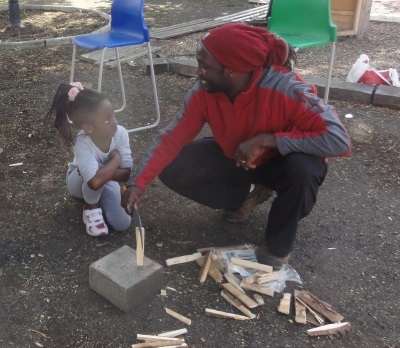 Free gardening and forest school sessions will involve a variety of outdoor creative sessions. The activities shall be run on Saturday afternoons normally 2pm to 5pm, more details shall be posted on this page once they are available. 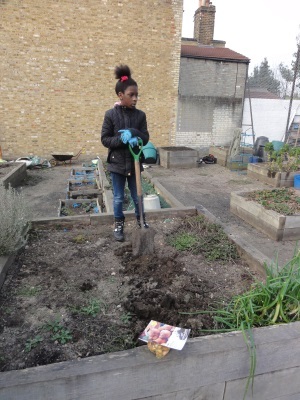 These sessions shall improve urban children’s relationship and understanding of nature and their environment, including learning new skills such as planting flowers, fruit and vegetables, plant ID and healthy eating. Plus contribute to academic skills such as science, maths & reading. 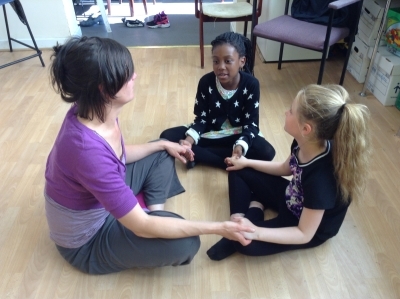 Free drama sessions shall teach young people creative skills whilst building social and interpersonal skills, increase self esteem and confidence, develop physical skills, increase concentration and help development of language skills. The drama sessions shall involve participants creating their own drama under the supervision of an experienced tutor. More details shall be posted on this website page once the free drama lessons are scheduled. These free music sessions shall start in September, with five only places available please sign up quickly. These music lessons shall be taught on 10am to 12 noon on Saturdays at Brayards Estate. Participants on music sessions shall learn how to learn guitar and various other musical instruments and how to record music and will gain self esteem and social skills. 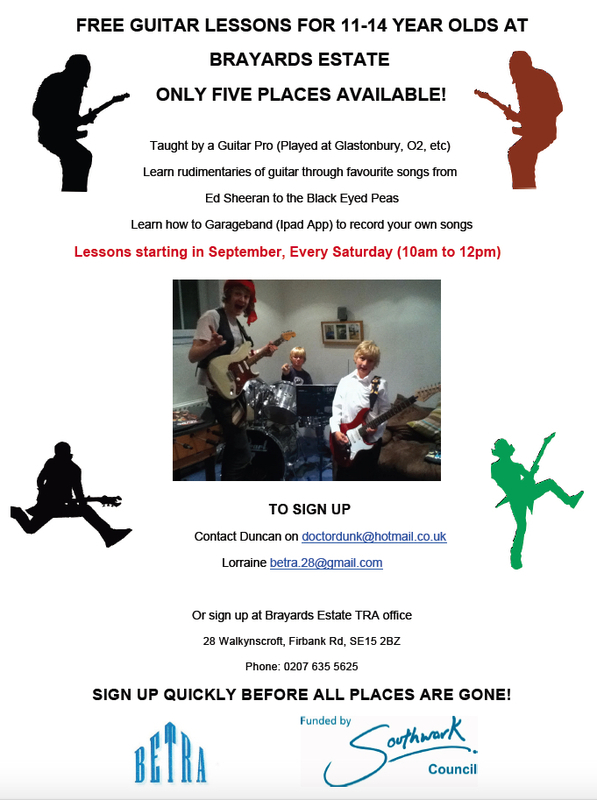 These free music lessons shall be taught by a Guitar Pro, who has played at Glastonbury, O2, etc. Students shall learn rudimentaries of guitar through favourite songs from Ed Sheeran to the Black Eyed Peas and learn how to Garageband (Ipad App) to record your own songs. We also plan that the drama and music participants do a performance at Brayards Estate annual community Funday. BETRA free guitar lessons have now finished and here is the final performance by some of the children who attended. Children guitar lessons where run through JSI grant funding from Southwark Council, which benefited a lot of children on Brayards Estate. Brayards Estate is putting together girl and boys football teams with training at Brayards Estate. 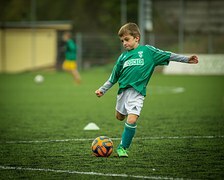 But we are hoping to enter teams into footballs tournaments in South London. If you or your child is interested in joining one of our teams please contact Brayards Estate TRA for more details.